Whether you or a loved one have a peanut allergy or sensitivity, you’ll love these nut free peanut butter and jelly cups! Made with Wowbutter, this peanut free snack is a great way to enjoy the classic combination of PB&J without the peanuts. Love peanut butter? 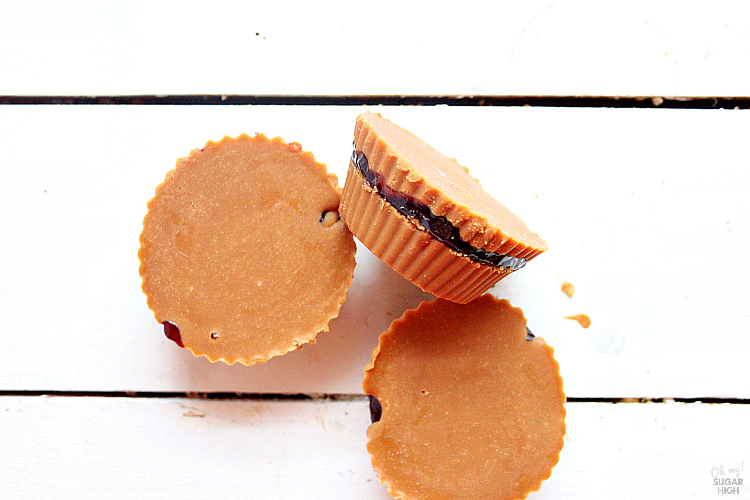 You can easily swap out the Wowbutter for peanut butter and make a traditional peanut butter cup. This fall my favorite snack was dry roasted peanuts. I ate them almost every day as my afternoon snack. For weeks I woke up with a terrible headache in the morning more often than not and I wondered why. After doing some research I couldn’t pin point the problem. That was until I ran out one week and didn’t have any peanuts at all. Surprise, surprise, no headaches. It was then that I learned that nuts and peanuts can cause headaches. It didn’t occur to me that I might have a peanut sensitivity. 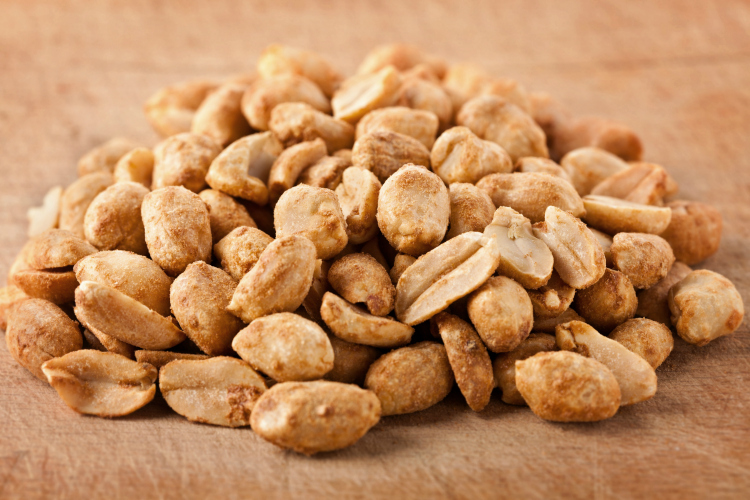 Since cutting peanuts out of my diet I rarely get headaches anymore. Thanks to Jen Brown for this recipe, I now have a way to enjoy the peanut taste I love without the headache. To make this peanut butter and jelly cup recipe you’ll need a dozen silicone baking cups and just three key ingredients. If you opt for nut free, you’ll need a peanut butter substitute. This one was make with Wowbutter which gets amazing reviews on Amazon! You’ll also need grape jelly (or your favorite flavor of jelly or jam) and some butter for an easy peanut butter cup dessert. 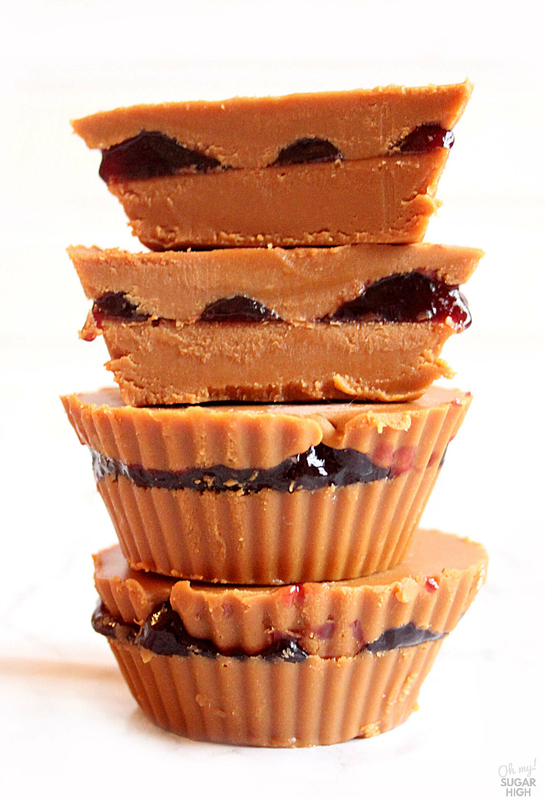 To make these peanut butter cups with jelly, you’ll need to melt your Wowbutter (or peanut butter) and butter in a small saucepan. Once melted and cooled slightly, pour your mixture into your silicone baking cups and place in the freezer to harden. Add approximately 1/2 tablespoon grape jelly into the center moving it back into the freezer to firm up. Then pour remaining Wowbutter mixture over the tops and freeze a least another hour. TIP: Line a muffin tin with your silicone cups for easier transport and filling. 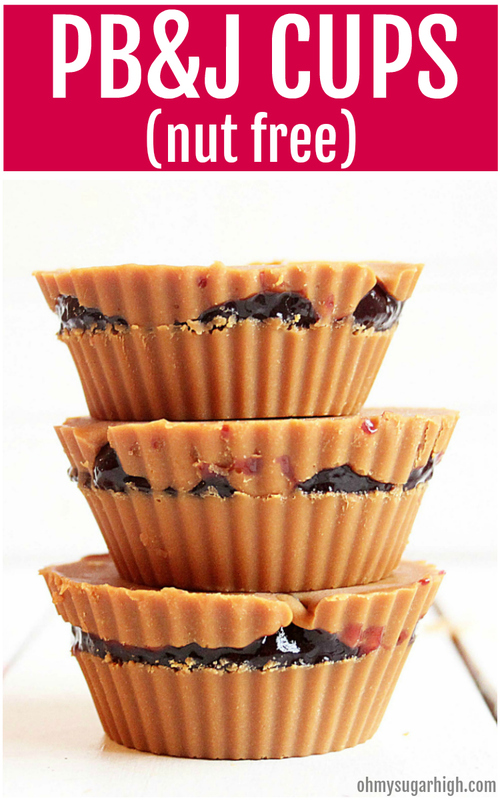 Whether you or a loved one have a peanut allergy or sensitivity, you'll love these nut free peanut butter and jelly cups! Made with Wowbutter, this peanut free snack is a great way to enjoy the classic combination of PB&J without the peanuts. Love peanut butter? You can easily swap out the Wowbutter for peanut butter and make a traditional peanut butter cup. In a small sauce pan, melt Wowbutter (or peanut butterr) and butter over medium low heat. Stir until well blended. Place silicone baking cups in a muffin tin and fill half way with Wowbutter mixture. Remove from freezer and add one tablespoon of jelly to the center of each cup. Return to freezer for 10 minutes, remove and cover each cup with the remaining Wowbutter mixture. Place in freezer for about an hour, or until set. Keep in freezer in an air tight container. Remove and allow to sit at room temperature for 15 minutes before serving. 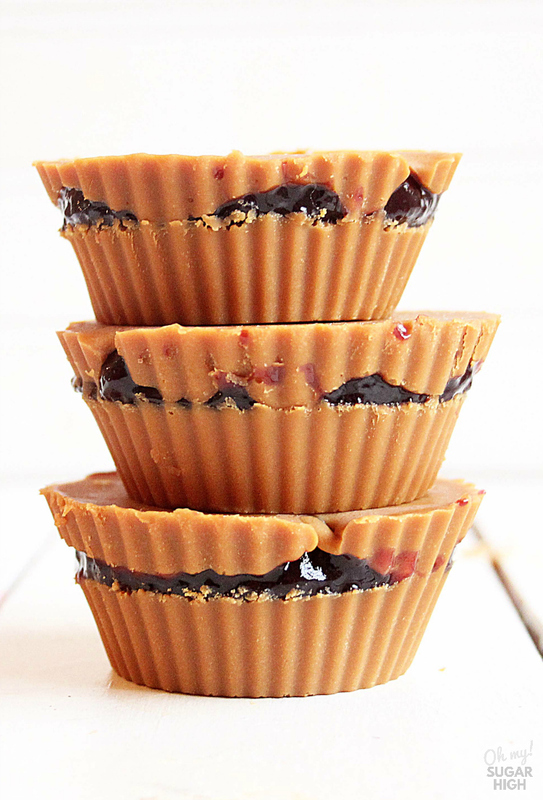 That is all there is to making these fun nut-free peanut butter jelly cups. If you try them, be sure to let me know in a comment below.